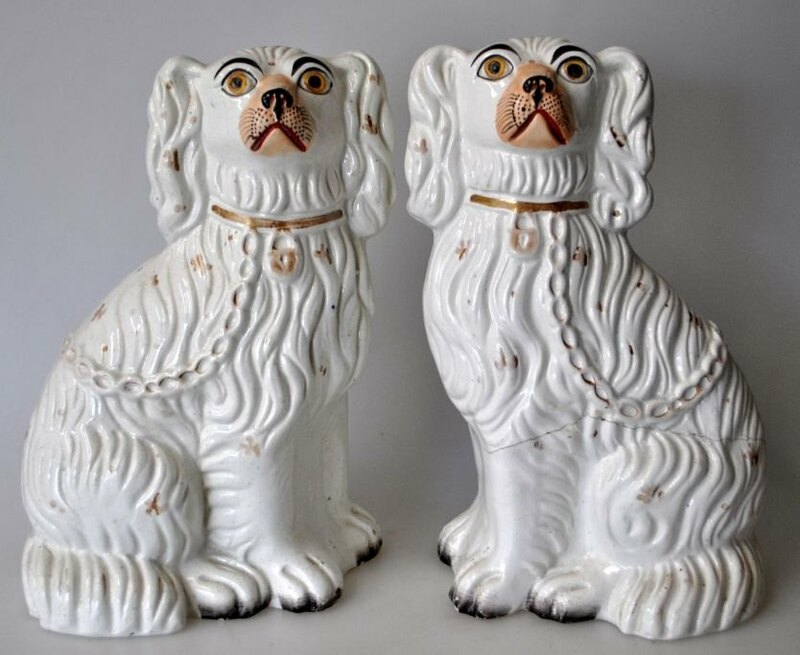 WorldAntique.net - Pair of Straffordshire poodle dogs, 19th century England. Saturday 20 April 2019 20:45 | WorldAntique.net in 2 countries | 69 antique dealers present: 140,801 antiques with photo. 9 conservator, 4 antique fairs, 4 associations. Pair of Straffordshire poodle dogs, 19th century England. 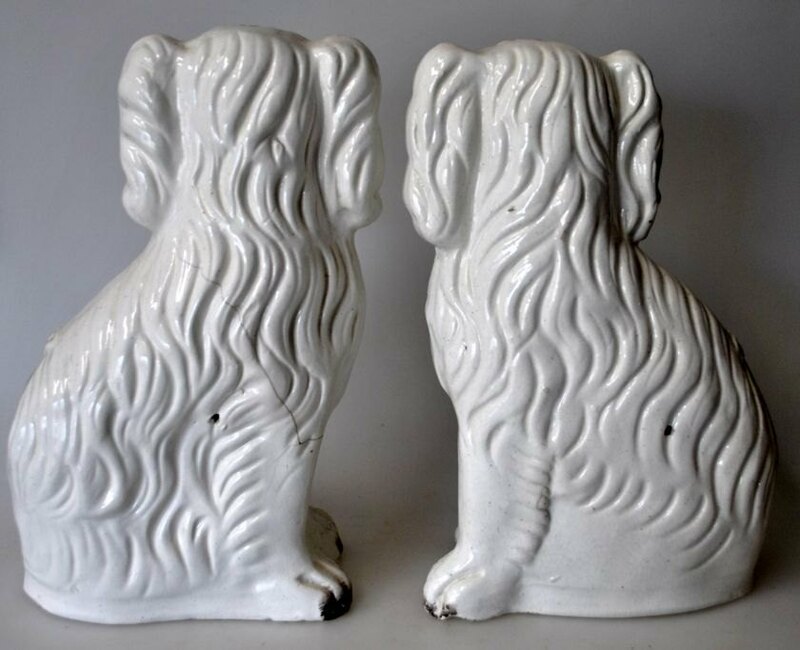 Pair of Straffordshire poodle dogs, 19th century England. King Charles Spaniels. H: 16.5 cm. The bottom is stamped: 3. NOTE: One with hair crack. Welcome to Pegasus Kunst- & Antikvitetshandel, Oddervej 168, 8270 Højbjerg - Aarhus - Denmark. Pegasus - Art - Antique - Design. Pegasus Art- & Antiques Pvt. Ltd.
from 12.00 Noon until 6 PM. When inquiring, please state item no. - preferably with a deep link.